Recently, there was a Toaplan Shooting Chronicle CD + DVD set which collected all the Toaplan OST's and a superplay DVD and it went for something like $190. I couldn't talk myself into buying it as I do not collect shmup OST's and I wasn't going to pay $190 just to watch one DVD. Luckily, there was a seller on eBay who just had the DVD for sale and I pounced on it. It's three superplays on one DVD - the 4th loop in Kyūkyoku Tiger, a first loop clear of Tatsujin and a first loop clear of the 'Development Version' of Same! Same! Same!. 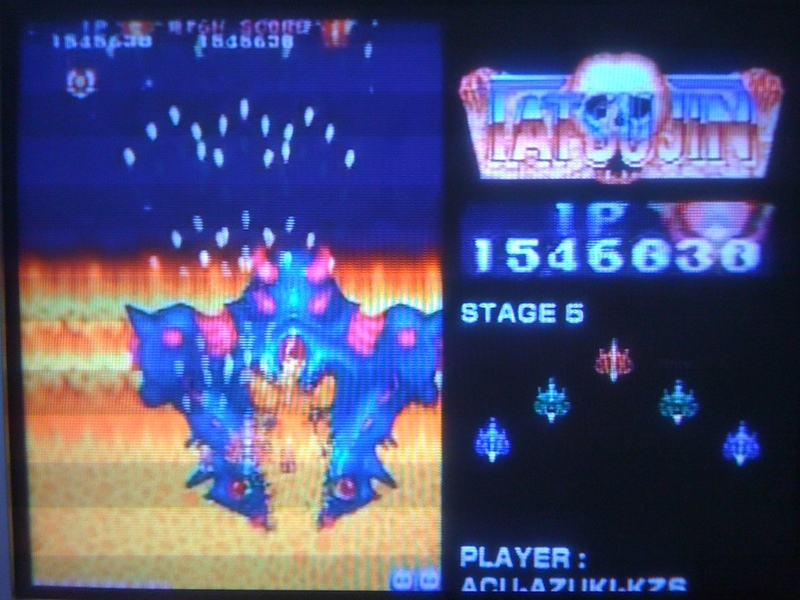 The quality of the DVD is pretty mediocre and the graphics turn out a bit fuzzy, even on a really good CRT. However, its a cool collection of superplays and the Kyūkyoku Tiger run is stunning, but not without mistakes, which some how makes it all the more interesting. The 'Development Version' of Same! x3 is pretty much the production version of Same!, but with the first level Tatsujin theme and sound effects, which is pretty weird, but cool nonetheless. All are played through with autofire, which is kind of a bummer, but really, how else are you gonna take down Toaplan bosses without first developing massive forearms?!? 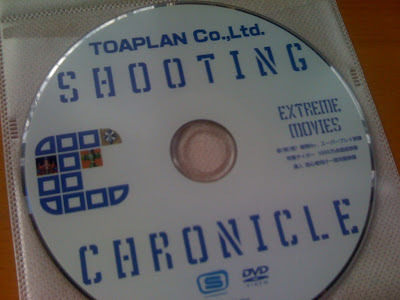 It's a good snapshot of Toaplan's best games - V-V and Batsugun not withstanding - and a cool document to come out 20-years after Toaplan shut their doors.